COLUMBIA, S.C. – The S.C. Department of Commerce’s Office of Innovation, in collaboration with Build Carolina, today announced SC Codes, a new statewide program designed to provide free access to code education for all residents. A first-of-its-kind, state-funded resource, the new platform connects students with experienced industry mentors and provides pathways for continuing education and employment in technology-related fields. SC Codes is available to any resident with access to the internet; no downloads or special equipment are required. Interested participants can enroll in beginner to advanced curriculum, specifically designed with the demands of the state’s industries in mind. Additionally, cohort-style and classroom-led sessions will be available through local community partners. Those interested in becoming a student, a mentor or a community partner can find more information at www.sccodes.org. SC Codes was first established in 2016 as a pilot project under S.C. Commerce’s Innovation Challenge grant with BMW and the Greenville County Public Library System. Now, the statewide platform utilizes proprietary technology created by the leadership of the former Greenville-based Iron Yard Academy. South Carolina’s tech sector continues to grow and opportunities for individuals entering the workforce with this type of training are vast. Employment in the state’s technology industry expanded by an estimated 2,520 jobs in 2017 and contributed $10.8 billion to the state’s economy, according to Cyberstates™ 2018, an analysis published in March by CompTIA. Including more than 6,600 tech businesses, South Carolina’s tech sector is responsible for an estimated 5.6 percent of the overall state economy. 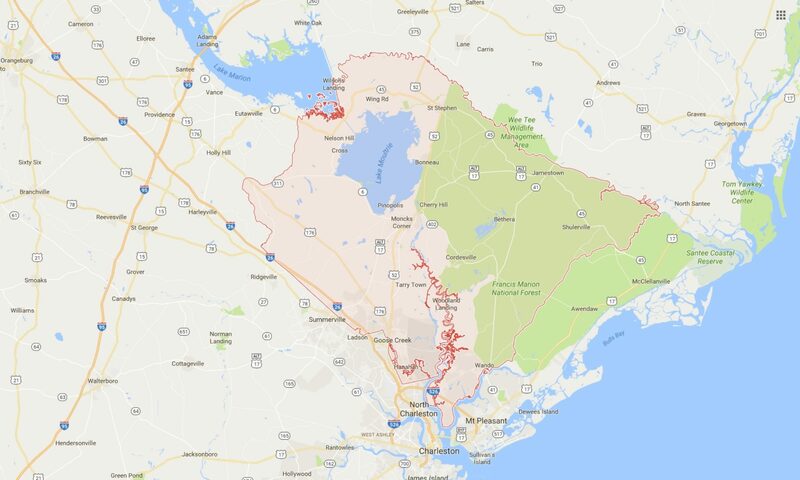 Charleston, S.C. – Six Charleston-area organizations, a mental health professional, a doula, and a data expert have come together to form a coalition designed to improve the wellbeing and potential of children affected by adverse circumstances in Berkeley County, South Carolina. Called the Berkeley County Early Education and Care Collective (BEE&CC), the coalition was one of 139 groups that applied to take part in the Networks of Opportunity for Child Wellbeing (NOW) Learning Community program of Boston Medical Center’s Vital Village Network, an initiative funded through a $2.2 million grant by the Robert Wood Johnson Foundation. BEE&CC was one of ten groups selected across the United States to take part in the program. Led by backbone organization Berkeley County First Steps, BEE&CC member organizations include Charleston Area Justice Ministry, Children’s Museum of the Lowcountry, South Carolina First Steps, South Carolina PASOs, YWCA Greater Charleston, and three individuals: Stacy Albarran, a mental health professional, Simone Richie Lee, a Berkeley County doula, and Alexa Stephens, a data expert and independent consultant who will serve as BEE&CC’s project coordinator. Under the NOW program, BEE&CC will improve its members’ ability to provide all Lowcountry families with resources to build a strong foundation and nurture healthy children by forming a supportive community of practice and sharing knowledge and data among its member organizations and NOW Learning Communities across the nation. Vital Village will provide the group with a robust set of knowledge, skills, and tools to scale and sustain equitable transformation of early childhood care, education, and health systems in their individual communities. The need for this program in South Carolina, even as early as the time a woman conceives, is significant. According to America’s Health Rankings, black mothers are more than four times more likely to die in childbirth than white mothers in South Carolina, and according to the March of Dimes, in 2015 nearly 20% of infants were birthed by women in the state receiving inadequate prenatal care. South Carolina’s black infant mortality rate is more than double that of white infants, at 11.2% for black infants versus 4.8% for white infants in 2015, the most recent year for which data is available. Participating NOW Learning Communities, which include coalitions in Alabama, Arizona, Colorado, Illinois, Minnesota, New Jersey, New Mexico, New York, and Washington in addition to BEE&CC, will kick off the 18-month initiative with a one-day action lab, attend semi-annual learning symposiums, and participate in monthly check-ins and webinars in which the coalitions will learn from each other. They will also have access to resources in the NOW Online Forum, focus groups and surveys that multiple members can co-design, and technical assistance and training. Launched in 2016, NOW builds on Vital Village’s network approach to build the capacity of other local communities and coalitions across the country working to promote child wellbeing, align systems of care and education in early childhood, and improve neighborhood opportunity structures that promote optimal wellbeing and reduce inequities in child health and education—all through a trauma-informed lens. The Vital Village Network is committed to maximizing child, family, and community wellbeing. Since 2010, Vital Village has fostered partnerships between residents and organizations aimed at improving the capacity of three Boston communities to promote child wellbeing and prevent early life adversities. The Network uses a trauma-informed lens to support systems alignment and collaboration across community-based early childhood health and education efforts. Its focus areas include promoting family strengths and social connections during the preconception and prenatal period, peer-to-peer advocacy aimed at addressing social and material hardships, and innovations in early childhood education. For more information about Vital Village, visit www.vitalvillage.org. Berkeley County First Steps is part of a statewide initiative to prepare young children for school and a lifetime of learning. Serving the hardest-to-reach children and families first, its vision is to see that every child in Berkeley County enters kindergarten safe, healthy, ready to succeed, and eager to learn. It seeks to fulfill this vision by providing families with improved childcare and early education opportunities, striving for an early childhood system that is transparent and easily navigated by families, ensuring that family engagement and partnership is embedded in this system, expanding and improving healthcare, and strengthening families through a parenting skills program. For more information about Berkeley County First Steps, visit www.berkeleyfirststeps.com. 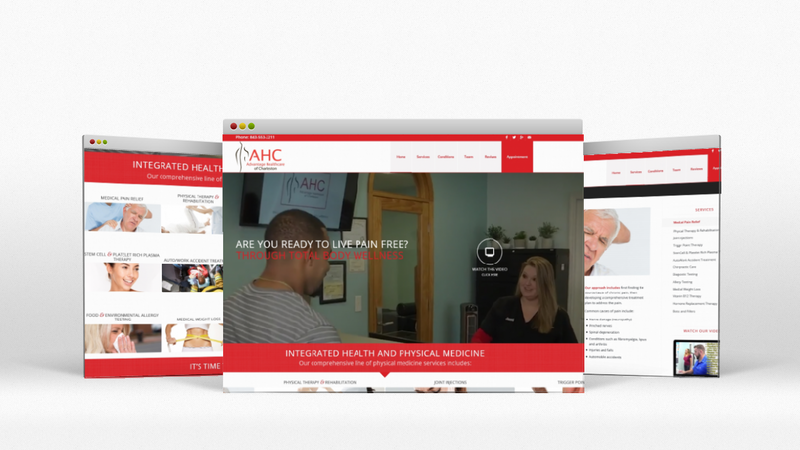 TheSiteCrew.com, a full service web design and search marketing company serving clients nationwide, is proud to announce the launch of a new website for Advantage Healthcare of Charleston in Goose Creek, South Carolina. The new website can be found at https://ahcwellnesscenter.com. TheSiteCrew.com custom designed this website with a clean uncluttered design, global navigation including a site search, social media integration, and on-page search engine optimization to enhance the user experience. This new website utilizes responsive web design. Responsive web design (RWD) is an approach to web design which makes web pages render well on a variety of devices and window or screen sizes including tablets and smartphones. When viewing the website on different devices a visitor will see the site content shift and change to fit the screen and settings of their device – no more zooming in and out or scrolling right and left. For optimal security, this website utilizes the secure HTTPS protocol. Hyper Text Transfer Protocol Secure (HTTPS) is the secure version of HTTP, the protocol over which data is sent between the visitor’s web browser and the website that the visitor is connected to. The ‘S’ at the end of HTTPS stands for ‘Secure’. Communication between the visitor’s web browser and the website is encrypted. TheSiteCrew.com specializes in producing beautiful, user-friendly, search engine optimized websites that effectively promote a client’s business. If you are considering a new website or redesign, contact email@thesitecrew.com for a free website analysis and quote. CHARLESTON, S.C. – August 31, 2017 – Coastal Community Foundation (CCF) is pleased to announce our Vice President of Development & Stewardship, Betsy Kinsley, is one of 42 leaders from across the Lowcountry and surrounding areas selected to participate in the Riley Institute at Furman’s Diversity Leaders Initiative (DLI) this fall. CCF board member Bill Stanfield, CEO of Metanoia Community Development Corporation, has also been selected to the Lowcountry DLI fall 2017 class. Volvo Cars, the premium car maker, is strengthening its executive management team with the appointment of new Senior Vice Presidents for the Americas region and for Europe, the Middle East and Africa (EMEA). Effective September 15, Lex Kerssemakers will be responsible for the EMEA region. Mr Kerssemakers was previously Senior Vice President for Volvo Americas and President and CEO of Volvo Cars USA. COLUMBIA, S.C. – Ingredion Incorporated, a leading global ingredients solutions company, is expanding its existing operations in Charleston County. The company’s growth is expected to bring more than $10 million of capital investment and lead to the creation of five new positions. COLUMBIA, S.C. – IFA, a direct supplier of propshafts for passenger cars and light commercial vehicles, is constructing a new manufacturing and distribution facility in Berkeley County. The development represents $69 million of capital investment and is projected to create more than 120 new jobs in the coming years. Most of the homes these days are built on the concrete slabs. These are quite strong, but pose problems, when there are leaks. While these designs are cost-effective, if there are water leaks, the repairs of these slabs can prove to be quite expensive. 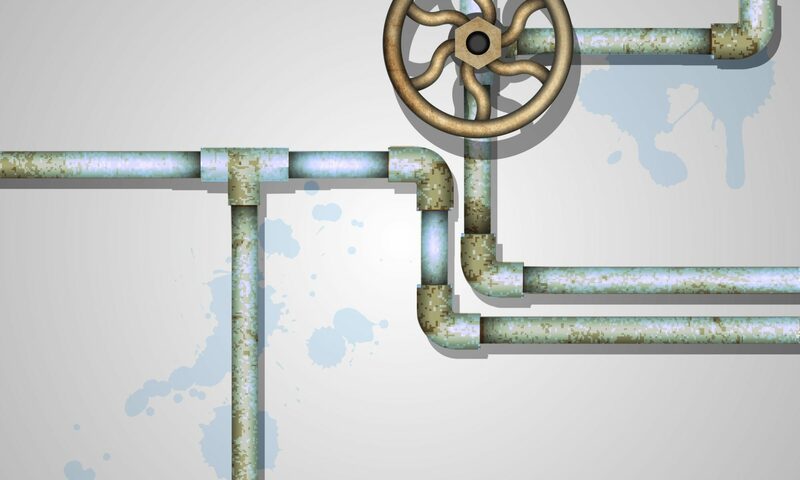 Due to this requirement, Leak Masters provide some of the most effective services for leak detection in Summerville SC.